While in Dubrovnik, you can travel all around the town and suburbs with the city and suburban public transport. The bus lines are frequent and they connect every part of Dubrovnik, as well as Župa dubrovačka, Primorje and Konavle. City bus lines travel within the intervals of 20 to 30 minutes, from approximately 5 am to 2 am (some lines) every day during the summer. Suburban line for Cavtat (no 10) begins the timetable at 5 am and the last line is at 1.30 am during the summer. City lines travel from 4 or 5 am to 2 am every day. All the city buses are comfortable, air conditioned and well equipped. 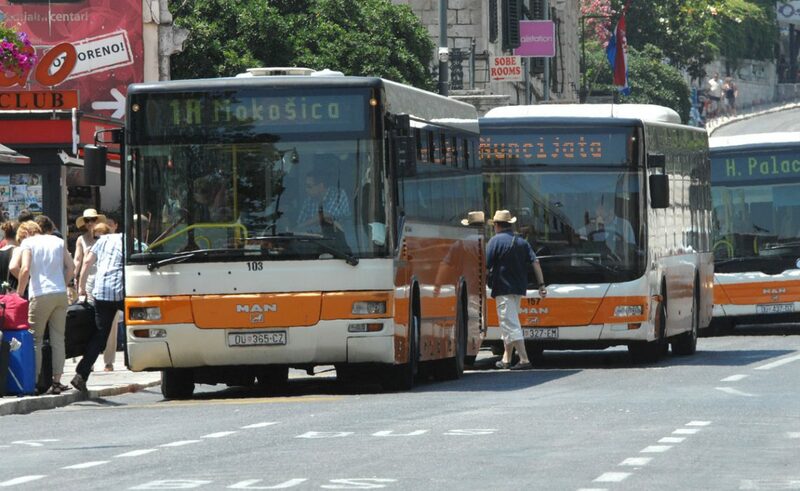 The company that manages the public transportation is Libertas Dubrovnik – find all the information about the company and offer on their official web page. Bus ticket for Župa dubrovačka is 18 HRK, for Ston (Dubrovačko Primorje) 40 HRK, for Slano (Dubrovačko primorje) 23 HRK, and for Cavtat (Konavle) 25 HRK.